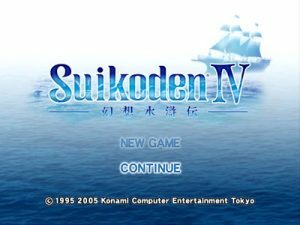 SUIKODEN IV PS2 ISO – A Tale of fate, friendship, and betrayal – The rune of punishment has passed through the ages of cursing its bearers with great power, but at the cost of their lives. 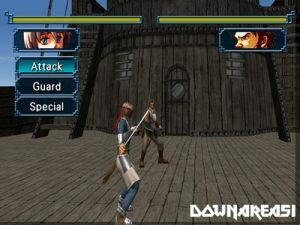 The rune finds a new host in the form of a young knight from the island nations. Uncover the mysteries of the cursed rune and search out the legendary 108 stars of destiny in a battle of a lifetime on the high seas.